My boudoir business is now Virago Boudoir! I am still the owner and sole photographer, it just felt like it needed its own business for empowering women. Before every session, I start off with a phone consultation where I ask a lot of nosy questions. We talk about what your dream session would be like, what you love about your body, how you want the images to make you feel. I don't have a vision for what your session will look like before we have this chat. Because I would never want to put someone in an environment they would never be in, in lingerie that they would never wear, and make them look like a completely different person with makeup and Photoshop. Before Indy's session, we talked about what she wanted, which was for the images to show strength and natural beauty. Since she radiates both of those things, it was easy to create strong natural images. 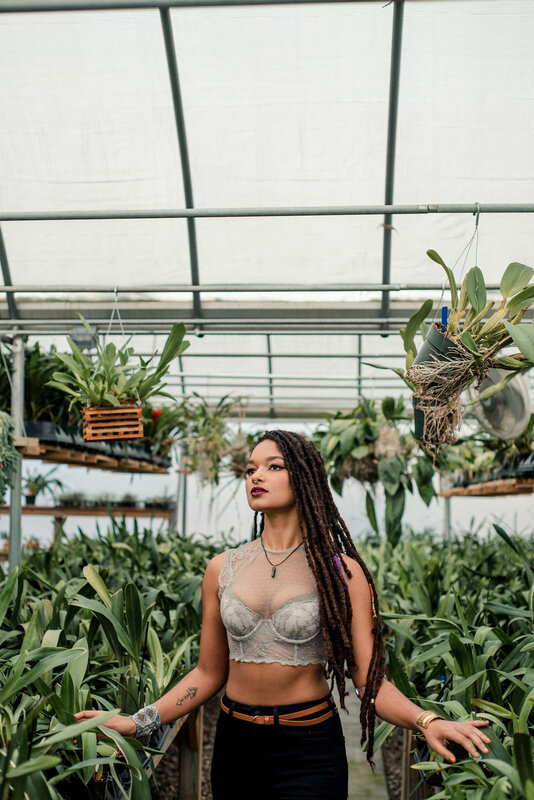 During the session, I was so inspired by her energy and beauty and also the gorgeous greenhouse. Even though it was the middle of a very cold January, we were in a warm jungle-like setting with all the greenery and flowers we'd been missing all winter. "I loved working with you! 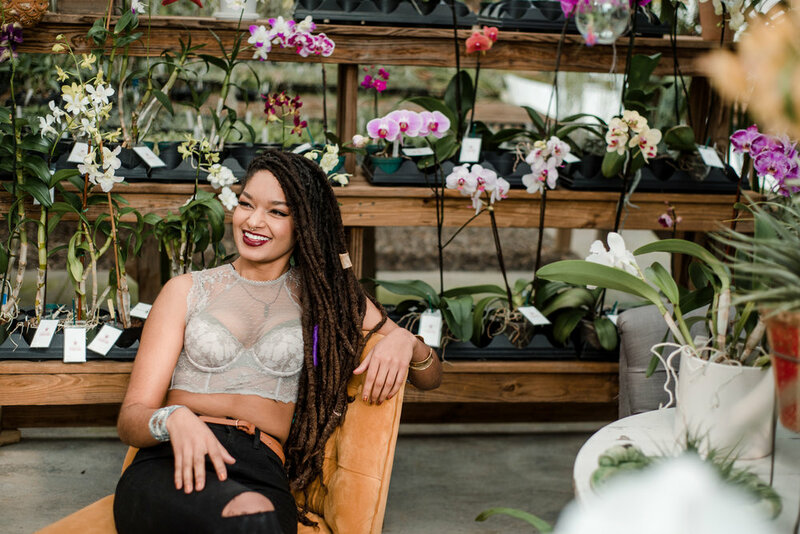 You made the entire experience truly amazing--from knowing the perfect poses, helping with any 'wardrobe malfunctions' during the shoot, helping come me come up with creative ideas to maximize the shoot, to creating quality images that are natural, authentic, and highlight everything about my body that I am proud of. It never felt like a cheesy photoshoot that was overly staged--I felt like I was hanging out with an old friend! 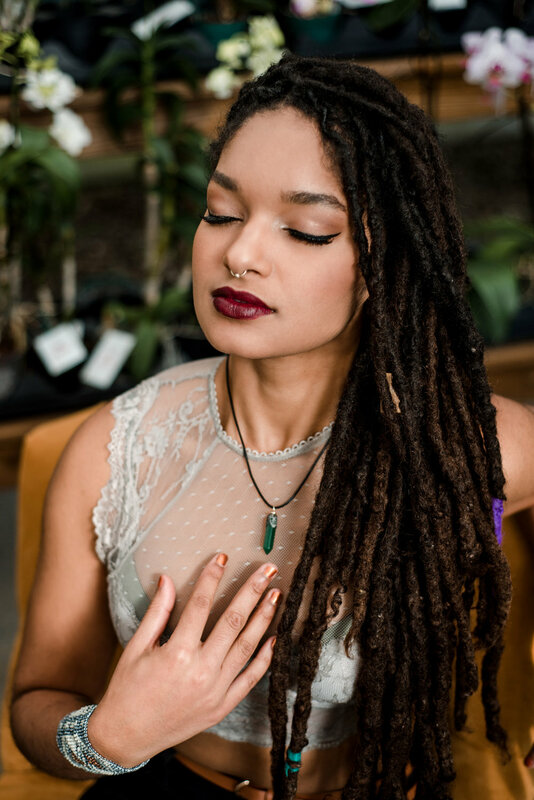 I loved the makeup artist--Tia Hixon-- that you recommended as well, she was perfect for the shoot and really helped me feel confident about my look."